Abstract: As a result of increasing environmental concerns/legislative pressure for dumping of non-biodegradable plastics in landfills and rapid increases in the cost of petroleum, the development of “environmental friendly” materials has attracted extensive interest. Recently, bioplastics are one of the most innovative environmental friendly materials developed. This review paper is intended to provide information about alternative to conventional plastics for the betterment of earth environment. They have some advantages such as lower carbon footprint, independence, energy efficiency, and eco-safety. For the sustainability, recycling systems and production technology may be developed for bioplastics and by-product should be used for their production. It is concluded that the use of bioplastics will help in sustainability and national development thus, making the environment less overwhelmed with greenhouse gases and reduction of waste biomas. And finally recommended by the reviewers that use of biomas for plastics production should be embraced especially those found to be biodegradable and use of petroplastics be incapacitated. Plastics are used in almost every place such as, in routine house hold packaging material, in bottles, cell phones, printers etc. It is also utilized by manufacturing industries ranging from pharmaceutical to automobiles. 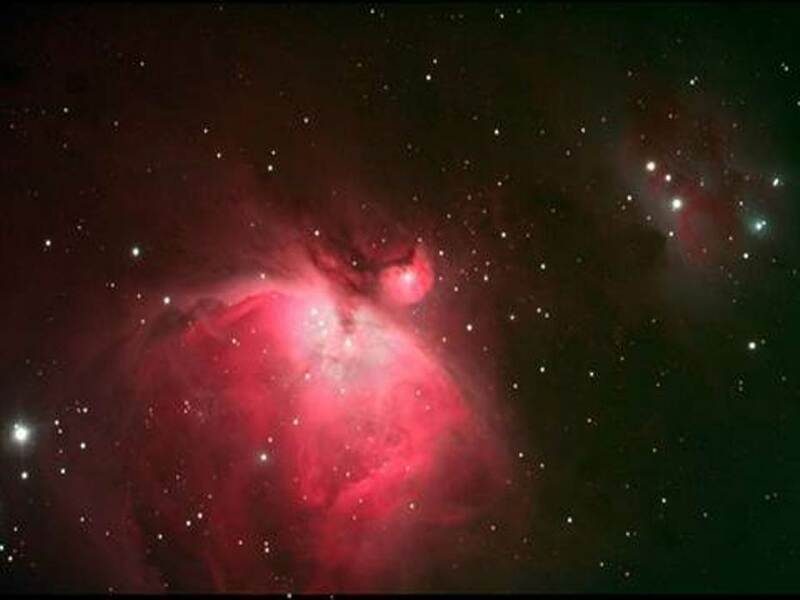 They are useful as synthetic polymer because, their structure can be chemically manipulated to a number of strengths and shapes to obtain higher molecular weight, low reactivity and long durable substances. Plastics are important material as they are durable and cost efficient to everybody. Plastics have become a large environmental problem. In fact, “Americans go through 25 billion plastic bottles each year”. Unfortunately, these plastic bottles along with other forms of plastic accounts for “25 percent” of the total volume of landfills and cause pollution. The plastics that do residue in landfills degrade very slowly, which can cause the original products to remain in our landfills for hundreds or even thousands of years . Nowadays, people are more aware about the harmful effects of petrochemical derived plastic materials in the environment. Researchers have conducted many researches for managing plastic waste on earth by finding eco-friendly alternative to plastics. This ecofriendly alternative is Bioplastics, which are disposed in environment and can easily degrade through the enzymatic actions of microorganisms. The degradation of biodegradable plastics give rise to carbon dioxide, methane, water, biomass, humic matter and various other natural substances which can be readily eliminated . In view of dwindling reserves of fossil resources industry is showing growing interest in Bioplastics. About 4% of the world’s oil production is converted into plastics for use in products as varied as shopping bags and the external panels of cars. Another few percent is used in processing industries because oil-based plastics require substantial amounts of energy to manufacture. As oil runs out and the use of fossil fuels becomes increasingly expensive, the need for replacement sources of raw material for the manufacture of vital plastics becomes increasingly urgent. In addition, the use of carbon-based sources of energy for use in plastics manufacturing adds greenhouse gases to the atmosphere, impeding the world’s attempts to cut CO2 emissions [3, 4]. An environmental dilemma with more far-reaching implications is climate change. The need for rapid and deep greenhouse gas (GHG) emissions cut is one of the drivers for the resurgence of industrial biotechnology generally, and the search for bio-based plastics more specifically. Bio-based has come to mean plastics based on renewable resources but this need not necessarily imply biodegradability. If the primary purpose is GHG emissions savings, then once again plastics durability can be a virtue, if the end-of-life solution can be energy recovery during incineration or recycling. The pattern of production is shifting from the true biodegradable plastics to the bio-based plastics and that trend is likely to persist into the future . Another environmental aspect of plastics manufacture is greenhouse gas generation. The Intergovernmental Panel on Climate Change (IPCC) trajectory to 2050 for stabilization of atmospheric GHG concentrations at 450 ppm CO2 requires emissions reduction of 80% compared to the 1990 level . This will be perhaps the biggest human challenge of the next generation. Several countries have adopted targets for such deep reductions in GHG emissions  and part of the strategy for many is the development of a biobased economy. The biobased economy first emerged as a policy concept within the OECD at the start of this century linking renewable biological resources and bioprocesses through industrial scale biotechnologies to produce sustainable products jobs and income [6, 7]. These problems can be overcome. All the major oil-based plastics have substitutes made from biological materials. The polyethylene in a shopping bag can be made from sugar cane and the polypropylene of food packaging can be derived from potato starch. Plastics are irreplaceable and will all eventually be made from agricultural materials. A bioplastic is a plastic that is made partly or wholly from polymers derived from biological sources such as sugar cane, potato starch or the cellulose from trees, straw and cotton. Bioplastics are not just one single substance, they comprise of a whole family of materials with differing properties and applications. According to European Bioplastics  a plastic material is defined as a bioplastic if it is either biobased, biodegradable, or features both properties. Degradation: The process of disintegration of the polymer into smaller fragments by the action of abiotic factors such as UV radiation, oxygen attack, and biological attack. The most common degradable plastics are polyethylene. Figure 1. Understanding the three different categories of bioplastics . Conventional plastics: They are also known as petro-based plastics/ fossil based, synthetic plastic generally derived from non-renewable resources. Figure 2. 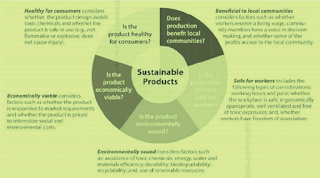 Basic concepts of a sustainable product design . The idea of sustainability which fulfils some basic encouraging concepts with non-toxic behaviour and safest to the environment. The toxic inputs in the product can cause so many serious problems such as poor air quality and poor surroundings of workstations. A proper sustainable product should meet the requirement of healthy atmosphere for the consumers . Figure 2 outline the all major aspects needed for a sustainable design of the product. In case of bioplastic, farmers grows the plants and then it is polymerized and converted into final product by manufacturers, further continuing the process the product transports to the retailer and wholesalers that is how the consumers have it. The end of life options are composting, recycling without leaving any toxins behind that maintains the nature’s balance for sustainability. There are commonly three ways to discard the plastic waste in Nigeria, recycling, incineration and littering. The recycling sectors are not well developed, most of them are not registered themselves legally to evade rules and regulation such as tax laws, minimum wages laws and workplace safety. Children are working in these conditions which is unethical and illegal. Most of these recycling sectors are manual and done on the basis of experience over the years. During recycling the plastic, the first step is to wash the plastic products in soap water for removing all dirt, after using numerous times the soap water goes straight into drainage system without any prior treatment of high polluted water which further cause several waterborne diseases. The water needs to be treated properly before being discarded to open drainage system. Following are the organizations who are contributing in cleaning eco-system from plastic wastes. UNEP (United Nations environment programme): The aim of this community is to promote the wise use and sustainable development of the global environment. The organization taking care of marine environmental and land based activities. Greenpeace: An international organization puts step towards for saving the arctic, forests, fighting global warming, protecting oceans, and promoting toxic-free sustainable food for living organism. Californians against waste: It has been reported as about 8 metric tons of plastic debris enters the oceans every year. Reporters says that the amount of plastic waste will be more than the number of fishes in the lake by 2050, if there would be no control on throwing waste in oceans. Due of accumulation of plastic waste in sea, the aquatic life are ingesting microplastics, up to 90% of seabirds already eaten it. This is the reason why plastic bags banned in US and California, one reason related with cleaning the trash of plastic bags that is much more costly than the production of bags, hundreds of dollars costs annually to clean up the plastic pollution every year. The total number of population in US and California has been charged for using the plastic bags and there is sudden increase after the year 2014. . Figure 3. Basic idea of research. Figure 4. The process of Biological degradation of biodegradable polymers . Potentially a much Lower Carbon Footprint: It should be pointed out that the carbon footprint of a bioplastic is crucially dependent on whether the plastic permanently stores the carbon extracted from the air by the growing plant. A plastic made from a biological source sequesters the CO2 captured by the plant in the photosynthesis process. If the resulting bioplastic degrades back into CO2 and water, this sequestration is reversed. But a permanent bioplastic made to be similar to polyethylene or other conventional plastics stores the CO2 forever. Even if the plastic is recycled many times the CO2 initially taken from the atmosphere remains sequestered. Lower Energy Costs in Manufacturing: On the other hand, plastics are made from 4% of the oil that the world uses every year. With oil scarcity the manufacture of plastics becomes increasingly exposed to fluctuating prices. Do not use Scarce Crude Oil: In contrast, each kilogram of plastic typically requires 20 kilowatt hours of energy to manufacture, more than the amount needed to make the same weight of steel. Almost all this comes from fossil sources. Reduction in Litter and Improved Compostability from using Biodegradable Bioplastics: The best understood advantage of biodegradable bioplastics lies in the reduction of permanent litter. Plastic single use shopping bags are the most obvious example of how plastics can pollute the environment with huge and unsightly persistence. A large fraction of the litter in our oceans is of disposable plastic bags. Cities and countries around the world are taking action against the litter, sometimes by banning non-degradable plastic bags entirely. It is noteworthy that bioplastics are manufactured using biopolymers which offer a renewable and sustainable alternative to oil-based plastics (petroplastics). Other advantages of bioplastics include novel functional properties and relatively low GHG emissions during manufacture (See Table 1). Bioplastics can be produced from plant starch, cellulose, lignin (wood), oils and proteins. Like petroplastics, bioplastics are compounds constructed of linked molecules that form long polymer chains (biopolymers). Most bioplastics can be broken down in the environment by micro-organisms in a process called biodegradation. This process produces CO2and water under aerobic conditions or CH4 under anaerobic conditions (in the absence of air) such as in landfill. Mixed bioplastics are usually biodegradable, but some are not and can be either recycled or processed for energy recovery. Note that items labelled as biodegradable should not be confused with those marked as degradable. The latter materials break down in the environment by chemical rather than biological means. Table 1. 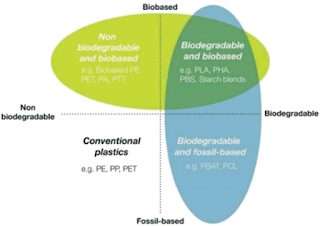 Comparing Bioplastics and Petroplastics. Currently the majority of bioplastics are used in packaging applications such as bottles, film, clamshell cartons and loose-fill. Bioplastics are also used in waste collection bags, carrier, bags, mulch-film and food service-ware such as cutlery. In general, the selection of the most adequate preservation technology is a major consideration when designing food products particularly if these are going to be packaged and distributed. 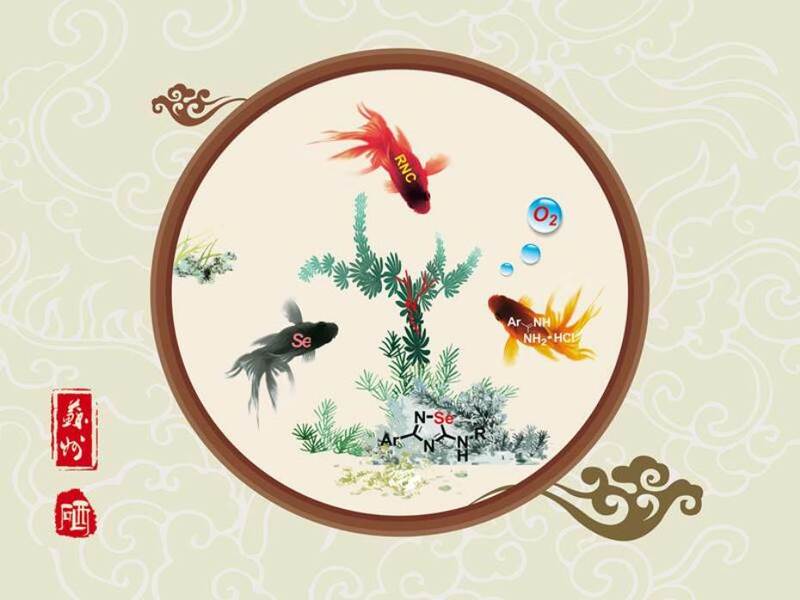 Thus, by means of a correct selection of materials and packaging technologies, it is possible to keep the product quality and freshness during the needed period for its commercialization and consumption . Plastic packaging offers excellent advantages, multi-functionality and versatility for this purpose. Nowadays, plastic packaging is the largest application for plastics (37% in Europe), and within the packaging niche, food packaging stands out as the largest plastic-demanding application. Plastics bring in enormous advantages, such as thermo-weldability, flexibility in thermal and mechanical properties, lightness, integrated projects, (integrating, forming, filling, and sealing), and low price [8, 10]. The most commercially viable materials at the moment are some biodegradable polyesters, which can be processed by conventional equipment. In fact, these materials are already used in a number of monolayer and also multilayer applications, particularly in the food-packaging and biomedical fields. The new food-packaging systems have been developed as a response to trends in consumer preferences toward mildly preserved, fresh, tasty, healthier and convenient food products with prolonged shelf life. The novel packaging technologies can also be used to compensate for shortcomings in the packaging design, for instance, in order to control the oxygen, water, or CO2 levels in the package headspace. In addition, changes in retail practices, such as a globalization of markets resulting in longer distribution distances, present major challenges to the food-packaging industry, which finally act as driving forces for the development of new and improved packaging concepts that extend shelf life while maintaining the safety, quality, and health aspects of the packaged foods. Novel active and bioactive packaging technologies combined with bio-packaging and nanotechnology can best help to do so. Therefore, proper combination of these three technological cornerstones will provide innovation in the food-packaging sector over the next few years. The use of polymeric packages for food applications has increased considerably over the last decades. Apart from the intrinsic benefits associated with polymers, significant improvements in their physicochemical characteristics, specifically regarding barrier, mechanical, and thermal properties, have been attained as a consequence of extensive research work. Furthermore, due to the shortage of oil resources and waste-management issues, research focus is shifting from synthetic oil-based plastics to biomass-derived biodegradable and environmentally friendly polymers. The drawbacks initially showed by these biopolymers in terms of poor barrier properties and high instability have, in turn, resulted in novel applications, making polymers an ideal partner for active and bioactive packaging, in which the package is not a passive barrier anymore, but actively contributes to the preservation of food. Biopolymers are, thus, the ideal matrix for the incorporation and controlled release of a number of substances to be added to foods [10, 11]. The occurrence of polyhydroxyalkanoic acids as storage polymers in prokaryotic cells is now known to be very widespread indeed. They are water-insoluble compounds. Many bacteria produce an intracellular carbon and energy storage compound - poly-β-hydroxybutyric acid (PHB) - in relatively large quantities. Development of high-yielding mutant strains resulted in conversion rates of 65 percent for PHB and eventual PHA yields of 71 percent dry weight . The major limitation associated with the production of bioplastics in bacteria is the high cost when compared to the petroleum-derived plastics. Potentially, in turn, the plant offers an alternative approach to synthesize these bulk commodity products at low cost. Whereas PHA production in bacteria and yeast requires costly fermentation process with an external energy sources such as electricity, in plant systems it is considerably less expensive as it relies on water, soil nutrients, atmospheric CO2 and sunlight. In addition, a plant production system is much more environment friendly. While in bacteria PHB synthesis and its accumulation is limited in the cystol, in plants PHB can be produced in a number of subcellular compartments like cystol, plastids, mitochondria and peroxisomes . Due to the controversy regarding the negative impacts of biopolymers, as they are contributing global food crisis by using crops as feedstock. An alternative of that requires less valuable raw material such as agricultural waste and food industrial wastes . Following are some researches of inexpensive ways to obtain the raw materials (carbon source) from discarded living items. Microbial Polysaccharides: There are several approaches done by researchers to produce polysaccharides (Exopolysaccharides) such as pullulan, dextran, xanthan, levan can be obtained from syrups and molasses at low cost by using the method of pretreatment with sulfuric acid. The method of centrifugation and filtration in sugarcane molasses and sugarcane syrup has been used to obtain high yield of levan with the help of Zymomonas mobilis culture. What makes bioplastic especially important is that petroleum oil plastics increases tremendously the concentration of GHG in the atmosphere and its stock will end in the near future. It is important for the global community to have an alternative for the product derived from petroleum oil such as plastics. PHAs at least will be a solution for the most of the industries and society, which largely depend on materials made from plastic. No new inventions can escape from the limitations and drawbacks and bioplastics too have some drawbacks. The most important drawback for PHA production is its production cost, but the good news is that the price of PHA production is decreasing, whereas, petroleum oil price is increasing constantly . As a result, the gap between the petroleum oil and PHA are becoming very narrow. The first potential application of PHA polymers was recognized in the 1960s. PHA patents cover a wide range of PHAs products such as coating and packaging, bottles, cosmetic containers, golf tees, and pens . PHAs have also been processed into fibers, for a non-woven fabrics material . PHAs can be used for all sorts of biodegradable packaging materials, including composting bags, food packaging, sanitary articles like diapers and fishing nets , biodegradable rubbers . PHAs are also used to develop scaffold for tissue engineering , and also possess numerous applications in pharmacy and medical science. It is concluded from the report that the use of petroleum based polymers have numerous adverse impact on atmosphere. Most of the plastic waste ended up in the landfill creates pollution with the accumulation of chemicals, only 10% of plastics has been recycled. On the other hand biopolymers converted into biomass with the help of living organisms which later use as manure in plants. Disposal of bio-waste in landfill creates environmental problems, due to the huge production of CO2 and NH3. Since the waste contains large amount of sugars, carbohydrates and cellulose in them, to utilize them in ecofriendly way for industrial use with the help of bacterial fermentation in a cost effective way is the best approach. Biomass can be converted into biofuel, biogas and bio-oil in eco-friendly way with the help of mutagenesis technique. The use of bioplastics over conventional plastics limits due to its high cost but there are several other options to produce bioplastics from the biomass feedstock in cost effective way. The future market for biopolymers are significantly increasing due to its sustainability. The biotechnology of microorganism gives a new hope to bioplastic production could significantly influence the production to compete with current barriers . The motive of the thesis was discussed and excellent results has been achieved during the research that there is a possibility to control marine pollution with the increasing use of biopolymers for the green economy. Their carbon footprint can be much lower than oil-based equivalents. Bioplatics have evolved into an innovative area of research for scientists around the world. This progressive development has been driven by a need for environmentally friendly substitutes for materials derived from fossil fuel sources. Bioplastics can provide excellent biodegradability, helping the world deal with the increasing problems of litter, particularly in the world’s rivers and seas. Durable plant-based bioplastics can also be recycled as well as their conventional equivalents thereby, driving an economic push toward expanding the bioplastic industry and provide better alternative for sustainable development of the future environment. Unmar, G. and Mohee, R. R “Assessing the effect of biodegradable and degradable plastics on the composting of green wastes and compost quality”. Bioresour. Technol. 99 (15), 6738–6744, 2008. T. Azios (2007) “A primer on biodegradable plastics”. Christian Science Monitor. Retrieved from Academic One File database. Terry Barker, Igor Bashmakov, Lenny Bernstein, Jean E. Bogner, Peter Bosch et al (2007). Technical Summary. In: Bert Metz, OgunladeDavidson, PeterBosch, Rutu Dave amd Leo Meyer editors. Climate Change – Mitigation of Climate Change, Contribution of Working Group III to the Fourth Assessment Report of the IPCC. Cambridge: Cambridge University Press. 2007. James H. Williams, Andrew De Benedictis, Rebecca Ghanadan, Amber Mahone, Jack Moore, William R. Morrow III, Snuller Price and Margaret S. Torn (2012). Science, 335: 53–59. John Wiley & Sons Inc.
 OECD (2001). The Application of Biotechnology to Industrial Sustainability - A Primer. Paris: OECD Publishing. Kerry, J and Butler (2008) “Smart Packaging Technologies for Fast Moving Consumer Goods”. West Sussex: John Wiley and Sons Ltd.
 Srikanth Pilla (2011), Handbook of Bioplastics and Biocomposites Engineering Applications. Massachusetts: Wiley-Scrivener Publishing LLC. Neil Farmer (2013) Trends in Packaging of Food, Beverages and other Fast-moving Consumer Goods: Markets, Materials and Technologies. Philadelphia: Woodhead Publishing. Ackermann, J. U. and Babel, W. W (1997) “Growth associated synthesis of poly (hydroxybutyric acid) in Methylobacteriumrhodesianumas an expression of an internal bottleneck”. Appl MicrobiolBiotechnol 47 144-149. C. Bastoli 1998 “Green Chemistry: Science and politics of change”. Polymer Degradation and Stability 59, 263. Kuruppalil, Z. (2010, November). Plastics packaging: The challenge of going green. Accepted to publish in The First International Conference on Green and Sustainable Technology conference proceedings, University of North Carolina A & T.
 Son, H. Park, G. and Lee, S. Biotechnol. Lett. 18, 12291234, 1996. Javed A and K. J. (2002) “Biopolymers” (ed. Doi Y and Steinbuchel A), Willy-VCH, Weinheim 4, 53-68. Stevens, E. S. (2002). Green Plastics: An introduction to the new science of biodegradable plastics. Princeton, NY: Princeton University Press. Jane Gilbert, M. R., (2015). An overview of the compostability of biodegradable plastics and its implications for the collection and treatment of organic wastes, s.l. : ISWA- the international solid waste association. Kershaw, D. P. J., (2015). Biodegradable plastics & marine litter misconceptions, concerns and impacts on marine environments., Nairobi: UNEP. Novamont, (2016). Bioplastic materials, Berlin: European Bioplastics. Markus Klar, D. G. A. P. C. H. U. D., (2014). Everything you don't want to know about plastics, s.l. : Swedish society of nature conservation. Edwards, S., (2010). a conceptual framework for sustainable product design. In: Beyond Child's Play: Sustainable Product Design in the Global Doll-making industry. New York: Baywood Publishing Company, Incorporated, pp. 29-44. Merkl, A., (2016). Ocean Conservancy. [Online] Available at:http://www.oceanconservancy.org/who-we-are/contact-us.ht ml [Accessed January 2016]. Waste, C. a., (2015). Nov 2- the growing effects of plastic pollution, Sacramento: California against waste. Network, R. A., (2015). Tell president Obama: No more coal, oil and gas leases on public lands, San Francisco: Rainforest Action Network. Narayan, R., (1993). Biodegradable plastics, Lansing: NIST. Systems, P., (2012). Bioplastic Labels and tags, Portland: s.n. Šprajcar, M., (2012). Biopolymers and Bioplastics, Ljubljana, Slovenia: European Regional Development. Piemonte, F. G. &. V., (2011). Bioplastics and petroleum based plastics: strength and weaknesses. Energy sources Part A: Recovery, utilization, and environmental effects, 33(21), pp. 1949-1959. Thomas, S., (2013). 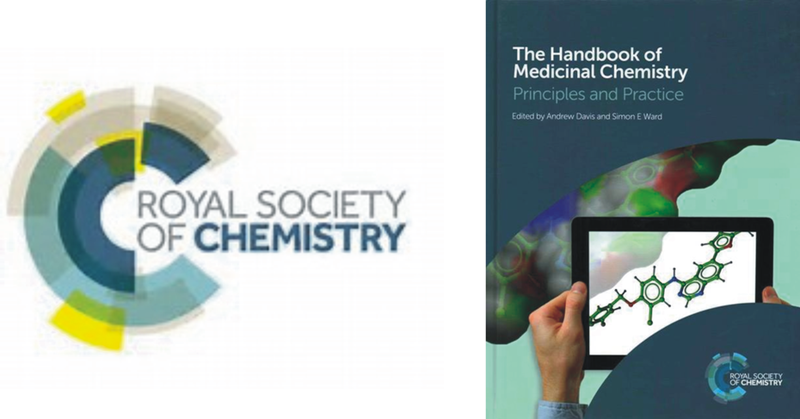 Handbook of biopolymer-based materials. Weinheim, Germany: Wiley- VCH. Navneet Ghuttora (2016) “Increase the usage of biopolymers and biodegradable polymers for sus-tainable environment” Degree Thesis in Plastics Technology. Ibrahim Muhammad Shamsuddin, Jafar Ahmad Jafar, Abubakar Sadiq Abdulrahman Shawai, Saleh Yusuf, Mahmud Lateefah, Ibrahim Aminu. 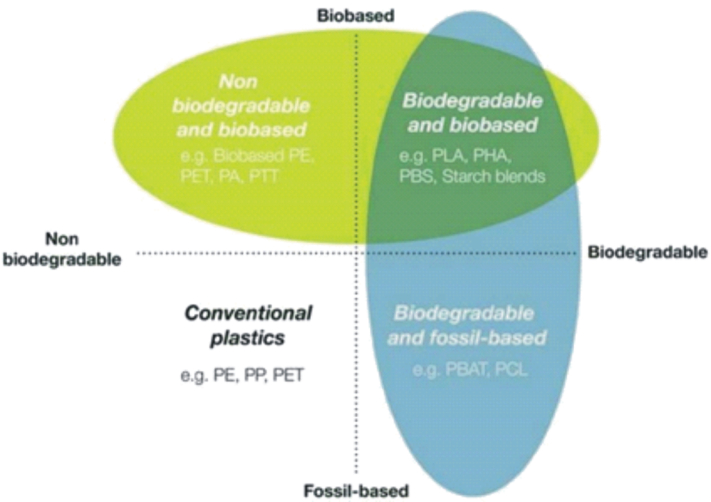 Bioplastics as Better Alternative to Petroplastics and Their Role in National Sustainability: A Review. Advances in Biomechanics.